Creating a logo for a new business is always a great project - our designers love getting their crayons out and having a creative brainstorm! This project was to design a logo for a new personal training business, with a monogram that could be used for branding on t-shirts, gym gear, water bottles etc. 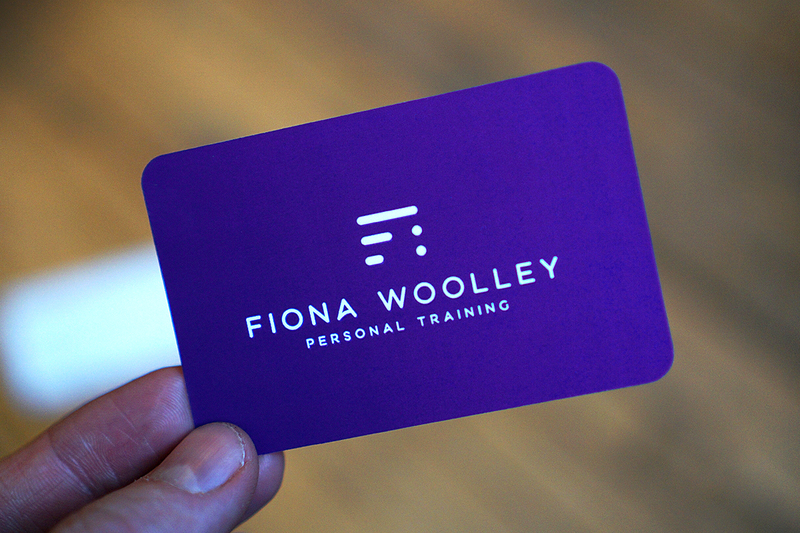 It was important to have a design that reflected Fiona’s personal approach to her new PT business; no straight down the line, corporate branding clichés here! The final logo is, we think, a really strong design that stands out from the crowd. The rich purple background gives a feeling of luxury and quality; the monogram elegant in its simplicity against this. The logo device itself represents a pulsing energy, which is demonstrated further in the animated version we created. Animation is a really effective way to bring a logo to life and is perfect for sharing across social media and online channels to improve engagement. It’s easy to visualise the many possibilities for branded items using the logo device; it’s such a strong symbol it will be unmistakeable for sure! To start with though, we created a business card design. 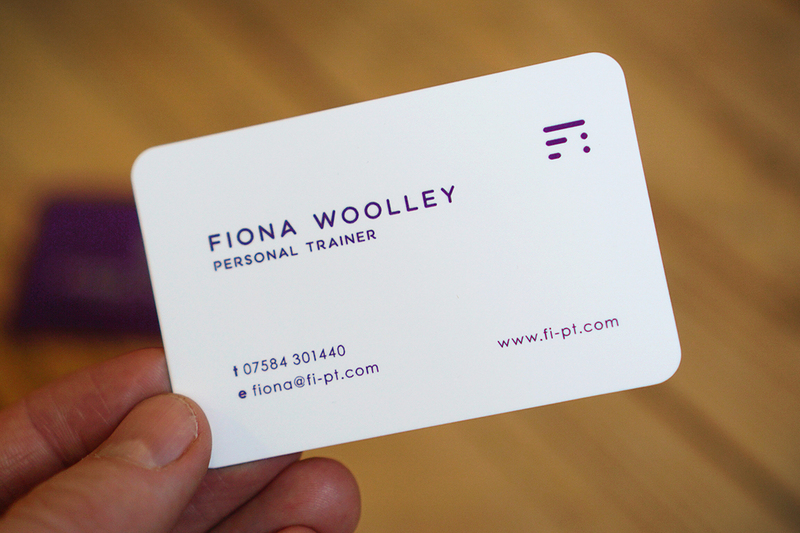 Never underestimate the importance of good business card design – it’s a reflection of your business and you need to make a good first impression when you hand it over to a potential new client. It’s happening again, we’re going to geek out about printing! 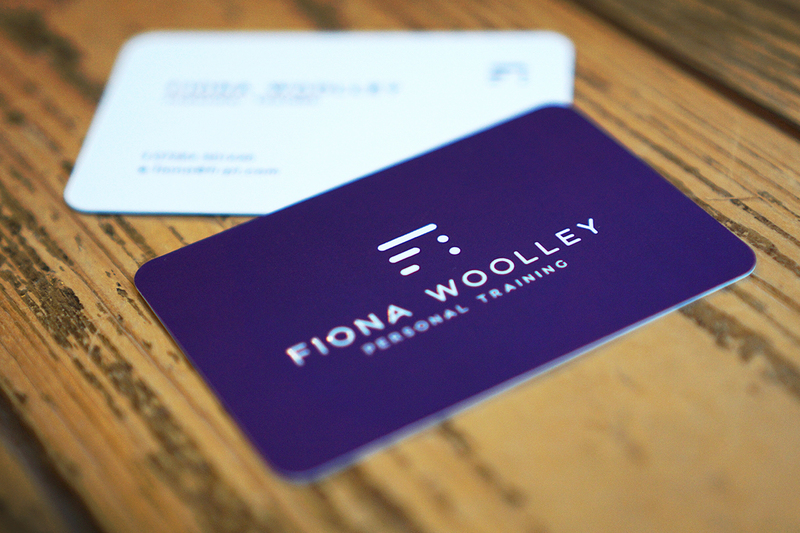 The business cards were printed on a heavy stock with a soft touch matt laminate finish and raised spot UV detail to the logo. You can really feel the quality and honestly, we reckon you can’t fail to be impressed by them! The design is simple and elegant – no fuss, just a bold statement of confidence in this fantastic new business. We wish Fiona all the best with her new business venture! You can visit her website here and see our logo in action. If you are a new business looking to make a big impact, get in touch and see how we could help create the branding that will get you there.